This mini atlas is an edited collection of the latest information on corneal topography written by international contributors from the USA, Europe and India. The main issue in refractive surgery is the pre-operative assessment and for that topography is essential. 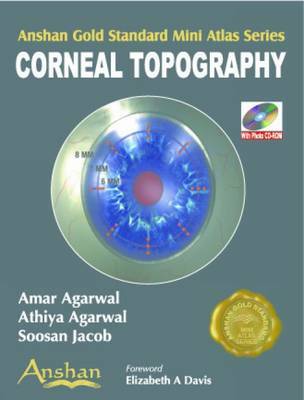 This concise textbook provides information on the Orbscan topography unit and its usefulness in predicting and diagnosing ectasia, the Pentacam topography unit, the relation between and usefulness of both topography and wavefront aberrometry and the use of topography in cataract surgery. Each chapter contains copious colour images to illustrate the text, a total of 180 throughout the book, and they can also be viewed on screen using the free CD Rom. In brief, this mini atlas is an outstanding pocket reference for ophthalmic practitioners.